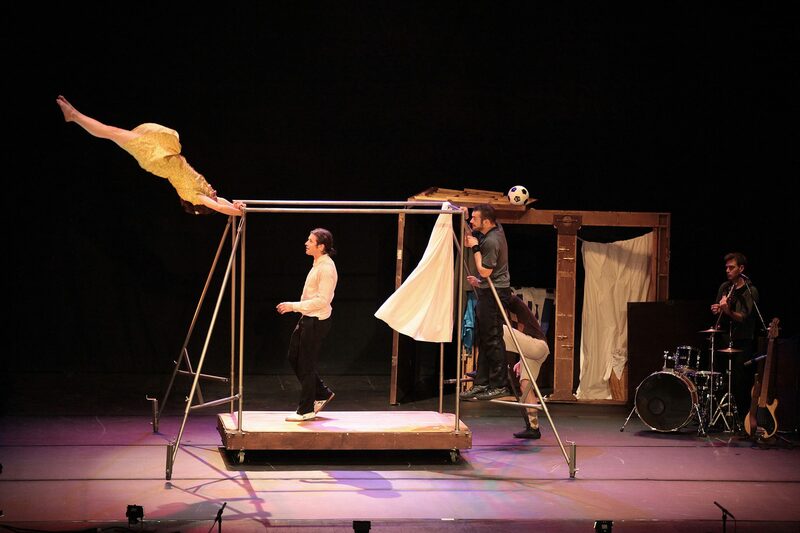 Galilei theatre opened its season with the performance of the Compañía de Capas Circus “eia” of Barcelona, a wonderful show of poetry and humor where live music, dance and traditional songs are mixed in a special way as an occasion of play and party where the art of welcome becomes a way of life. Capas led the audience on a journey through the sounds and smells of home storage, sharing illusions, joys, bright, catastrophic, intimate, honest moments. “It’s just that atmosphere we want to offer to our audience of children, teenagers, young people and their families and teachers,” – said Morena Pauro, artistic direction of the theatrical kermesse – at Galilei104 Theatre, in fact, a show is never just a show. And guests are never only audience. This is the theatre that the group “Le nuvole”, has always offered: an experience that is not limited to ‘vision of something’, but it is a dialogue between who is on the scene and who sits in room, both essential. A dialogue that began in the theater, but does not end the way home.